When you're in the market for a new job, using job search engines to look for openings is a good strategy. With so many sites out there, though, it's important to focus your efforts on a few that are most likely to feature the kinds of jobs that you are interested in. Otherwise, you could spend all of your time combing through site after site, rather than actively applying for jobs and preparing to interview. Follow these tips to make the most of your efforts. When searching online for a job, start with a few key job sites that feature a combination of job postings aggregated from other sites and paid job ad placements. Indeed, Recruiter.com, and SimplyHired can be good options to start with, and you may even find that one (or a few) of these sites is sufficient for your needs. That's because these sites work behind the scenes to identify jobs posted elsewhere online (such as company website career pages and other places where employers advertise jobs) as well as accept paid job ads. These sites provide a good way to cast a wide net when searching for jobs, as they typically have a very broad selection of available jobs listed. It's up to you to narrow your search to find the results you need. Depending on what you are looking for, you may benefit from broadening your search to include some specialized job search sites. For example, industry-specific job boards or job search sections on relevant professional association websites. Also look for job search engines relevant to other special characteristics or criteria. For example, if you want to work in a specific geographic area, look for sites focused on that location. If you want to work for the government, use sites focused on government jobs. Once you do an initial review of relevant sites, decide which ones are worth your time. If most of the jobs posted on them are also on the aggregator sites, you might be better off sticking to them. If not, include time in your schedule to search for opportunities on key sites. Once you have decided which sites make the most sense for your situation, install their mobile apps on your phone or tablet. This will help make it easy for you to put your downtime to productive use. After you have done this, you will be able to quickly and easily search for job postings during those times you have gaps in your schedule, such as waiting for a doctor's appointment or standing in line at the store. 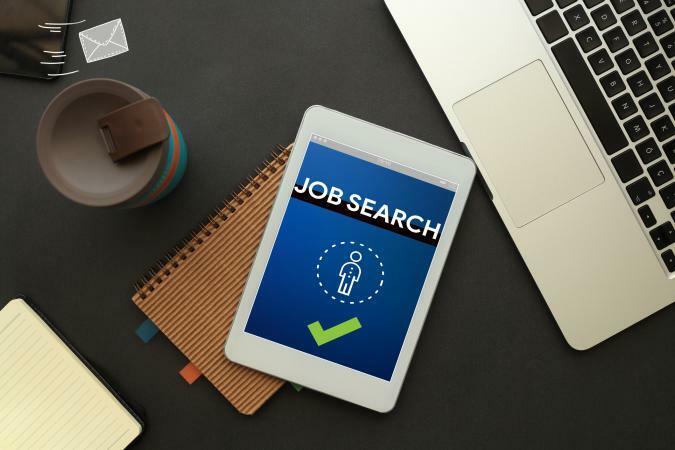 Basically, while you are actively hunting a new job, opt to check out job search engine apps during times that you would ordinarily reach for your device to play a game or see what's going on with your social media connections. Once you've found a new job, you can go back to business as usual! Reviewing and applying to job postings can be very time consuming. With this in mind, using the advanced search features on job search sites can help you save time and get better results. When you go to a job search engine, look to see if the site offers advanced search features. Some sites have a menu option that you can click to find their advanced search option, while it may be harder to find on others. A quick tip is to Google the name of the site and the phrase 'advanced search' (i.e., 'Indeed advanced search'). Advanced search will let you enter multiple criteria rather than just a job title or a few keywords and a location. For example, Indeed's advanced job search capabilities allow you to limit keywords in several ways and specify things like company name, job type, salary, location, how long the job has been posted, and more. Once you have identified the job search engines that are most beneficial to you, create job alerts on the sites that have this type of feature available. For example, you can create a job alert on Recruiter.com quickly and easily. Most job search engines offer this feature. Setting up alerts means that you'll receive a notification via email or text when job openings that meet your specified criteria are posted on the site. You will have to register with the site in order to receive alerts. Following these tips can help you make the most of your time and effort when it comes to using job search engines. There's more to finding a job, though. For example, you may want to add in additional job search strategies, such as working with a staffing agency, reaching out to your personal network, attending job fairs, or using LinkedIn or Twitter. Once you identify appropriate openings, you have to apply in the manner specified in the job announcement and get prepared to interview so you're ready to impress when hiring managers start to call!